Arturo Sandoval Loves NPR : NPR Extra Not to toot our own horn, but Cuban trumpeter Arturo Sandoval loves NPR, and he let it show while at NPR West for an interview with All Things Considered weekend host Guy Raz about his latest album, Dear Diz (Every Day I Think of You). 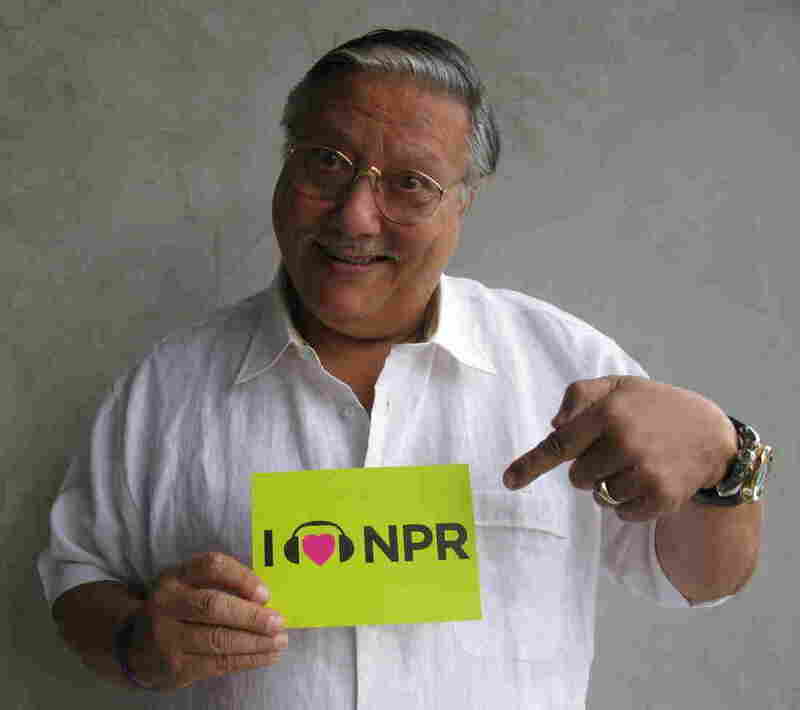 Not to toot our own horn, but Cuban trumpeter Arturo Sandoval loves NPR. The musician let it show while at NPR West for an interview with All Things Considered weekend host Guy Raz about his latest album, Dear Diz (Every Day I Think of You), a tribute to to his friend and American Jazz artist Dizzy Gillespie.